Operating on the crowded 40m band has made me appreciate the need for good filters. 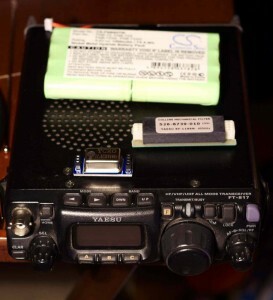 I’d read many comments regarding filter brands and bandwidths, plus viewed several videos that show an FT817 with collins filter fitted and the author stating “no difference in receive audio – waste of money”. I’m not sure what people expected here as there were no adjacent signals to reject! I decided to order the Yaesu Collins YF-122S (2.3 kHz) as a) it’s the standard option and b) I’d read reports that 2 kHz was too narrow. I also ordered a Chinese TCXO (£10) as I figured for that money it would be daft not to – plus whilst operating on the FT817 I may as well do both upgrades. The first thing I noticed when switching the Collins filter in circuit was a slight increase in RX signal level. I then tuned around the band, found some strong signals and tuned to the signal edges whilst switching the filter in/out. Initial impressions were poor; no noticable improvement. However, I then discovered at the very extreme edges (nearing 3kHz off unwanted signal) the interfering signal was completely removed. The high pitch squawking of an adjacent signal became completely rejected with the filter switched inline. However, in practice, with the trend for ‘hifi’ sounding wide signals, I question the usefulness of this. In hindsight a 2kHz INRAD would have likely been a much better investment. Switching to TX, I understood the flat frequency response within the pass band gave punchier audio. Keen to try this, I connected my 817 to my 40m dipole, started Hack Green SDR receiver on my PC and made a couple of test transmissions. This is highly unscientific as it assumes I spoke at the same volume, the same distance from the mic. However, I tried this several times and reproduced the same results; an increase in transmitted signal/audio roughly equal to the increase I’d noticed on RX when switching the filter inline. 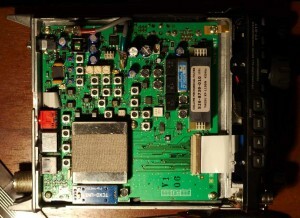 An a/b comparison recorded via Hack Green SDR can be found here. Keep in mind this was recorded using just 5W from my home, signal strength was not great. In summary, I’d say the filter was probably worthwhile purely for the marginal signal improvement (both RX and TX). I’m unsure if this is due to the frequency response or less insertion loss compared to the standard ceramic filter. In terms of filter bandwidth and performance per £ I believe a 2 kHz SSB INRAD filter would have been a much better investment. The TXCO? I had never noticed an issue with frequency stability before (to date I’ve operated primarily on HF). However, the replacement works without issue and reports online suggest it’s as stable as the official TCXO. This could be a worthwhile upgrade when operating portable on 2/70 UKACs in the future. This entry was posted in Uncategorized and tagged collins, filter, ft817, qrp, ssb, tcxo. Bookmark the permalink.